Looking for a gift idea? These gorgeous swirly paper flowers are really easy and fun to make! Truly unique and so impressive! Do you ever miss the flowers in cold season? I do! I love flowers and plants, I think I have over fifty in my house right now. But they’re all leaves only, no flowers and I truly miss that wonderful, happy vibe that bright colored flowers give to my house. And that’s why I decided to brighten it up with a bunch of swirly paper flowers! 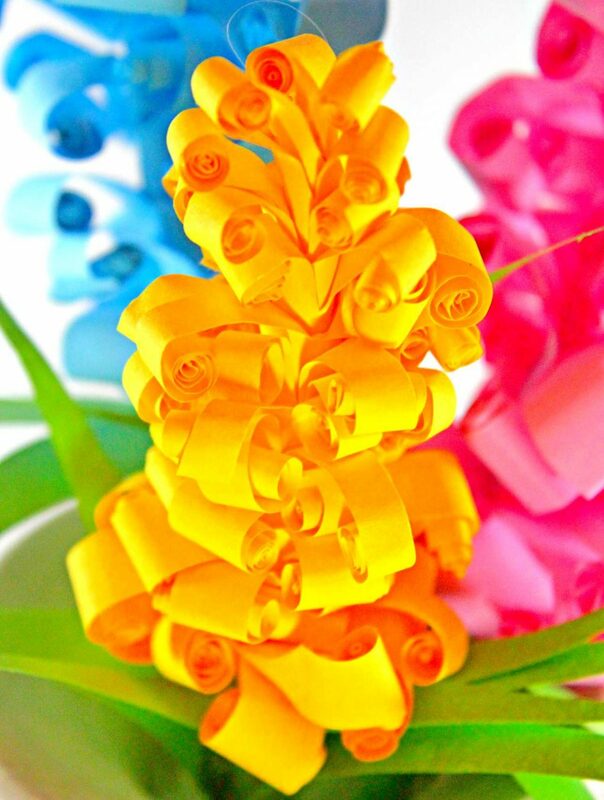 These adorable curly paper flowers are called hyacinth. And real hyacinth smell absolutely amazing! While these swirly paper flowers are just a replica and won’t obviously smell at all, they still do a pretty awesome job at making a house feel like a home, cheerful, friendly and warm. 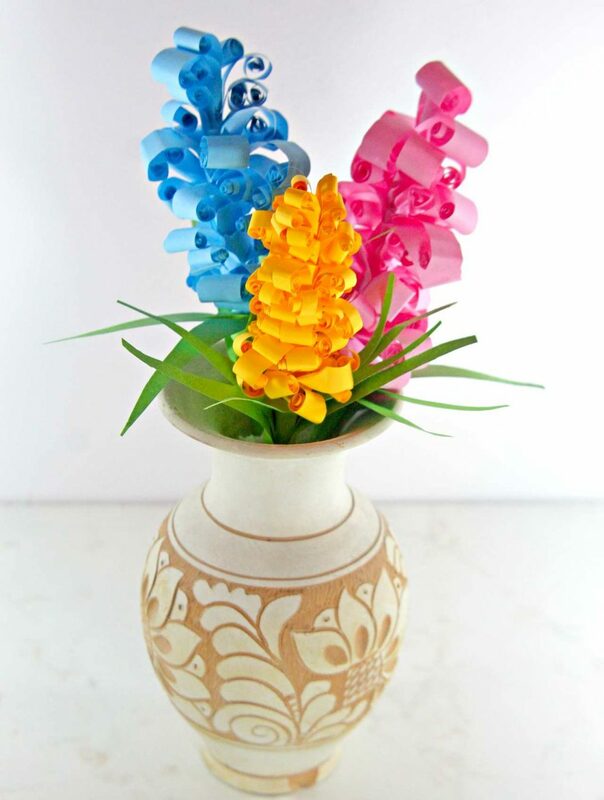 These paper hyacinth flowers also make a fabulous gift idea this season, especially for someone who’s a big flower fan! They’re also perfect for parties, baby showers, or even weddings. And they’re so insanely easy to make even though they might look a bit complicated on the first look. You don’t need special skills or tools to make these swirly paper flowers! Just your bare hands, paper, a glue gun and a glue stick. 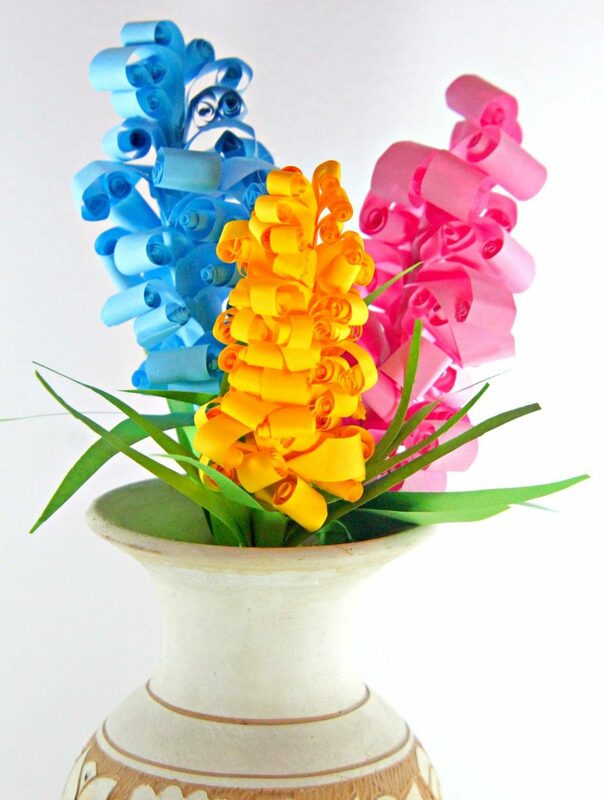 When making these paper hyacinth flowers, the hardest part for me was curling the flowers. But this only happened to the first few curls, as soon as I got the hang of it it was all going at the speed of light. And I think my swirly paper flowers look so pretty and real, they’re totally worth the effort! The size of your flowers will depend on the size of the paper you use. I opted for regular A4 paper size and my paper hyacinth are pretty close in size to the real flowers.